The NFL and Silicon Valley get together for a startup competition ahead of Super Bowl 50. 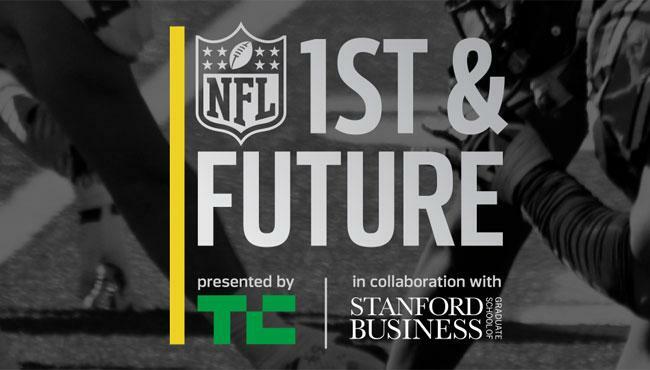 On Saturday Feb. 6 TechCrunch, NFL and Stanford Graduate School of Business host the 1st and Future startup event that looks for startups that shape the future of sports. The three categories startups will pitch their business plans include Stadium of the Future, Bringing Home the Game and Tomorrow's Athlete. The winner in each category receives $50,000 from the NFL Strategic Investment Fond and tickets to the Super Bowl 50. The competition features several high profile judges including Marry Meeker, VC at KPCB, Andrew Wilson, CEO of EA, Lowell McAdam, CEO of Verizon, Mark Parker, CEO of Nike and Condoleezza Rice, former United States Secretary of State. The NFL 1st & Future Startup Competition will be streamed live on TechCrunch starting Saturday, Feb. 6 at 8:30am until 12:00pm. 12 startups have been selected to compete in the event.